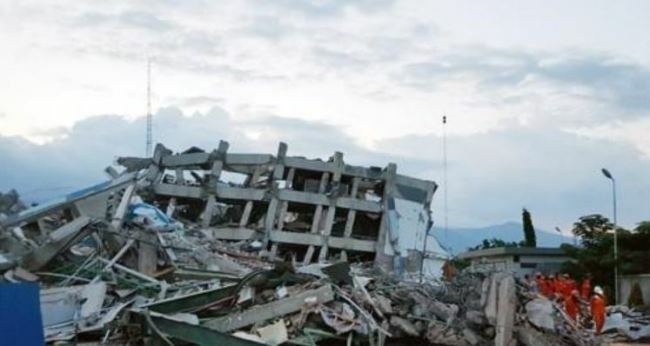 South Korea said Wednesday it will extend the mission of two military jets in Indonesia hit by a powerful earthquake and ensuing tsunami. The C-130 Hercules planes were dispatched to the central island of Sulawesi on Sept. 28 to support emergency aid supplies. Their mission was supposed to end Wednesday. But the government has decided to prolong it until Oct. 26 at the request of the Indonesian authorities, according to the Ministry of Foreign Affairs. The jets have airlifted a daily average of 20 tons of aid materials offered by the international community. The items include drinking water, tents, medical equipment and emergency generators. "The government expects the extension of our military cargo planes' mission period to be helpful to the Indonesian government's disaster relief efforts," the ministry said. Air Force Col. Jung Yeon-hak, who's in charge of the local operation, said in a statement that his team will continue to do its best to help those in need in close partnership with service members with similar missions from other foreign countries such as the United States, Australia and New Zealand.